Do you use business cards? It may sound a silly question, but what’s the purpose of a business card if the other person just throws it away in their desk? 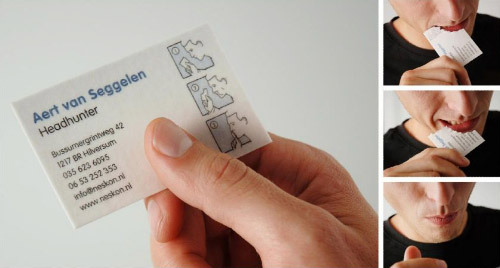 Why not have a business card that’s practical and useful to those whom you give it. After all you give your business cards to promote your business to your future potential would be clients, then don’t you think they should remember you? If your answer is yes, then have a look at these ‘Awesome Practical and Useful Business Card Designs’ that I am sure is going to leave a lasting impression on your future clients. 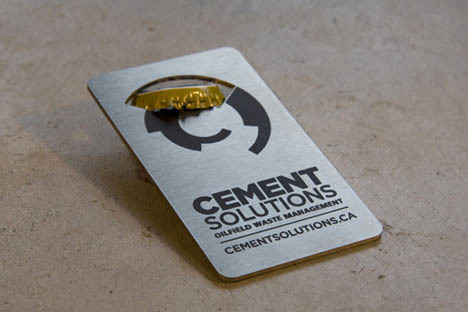 Bottle Opener Business Card: Cool business card that also functions as a bottle opener. pH Business Card: The Schwimmer Pool Service Business Card is printed on special pool pH paper and when the prospective clients dip this card into their pool’s water to test its balance level, the business card then changes color to indicate whether or not they should call the phone number on the other side of the card. 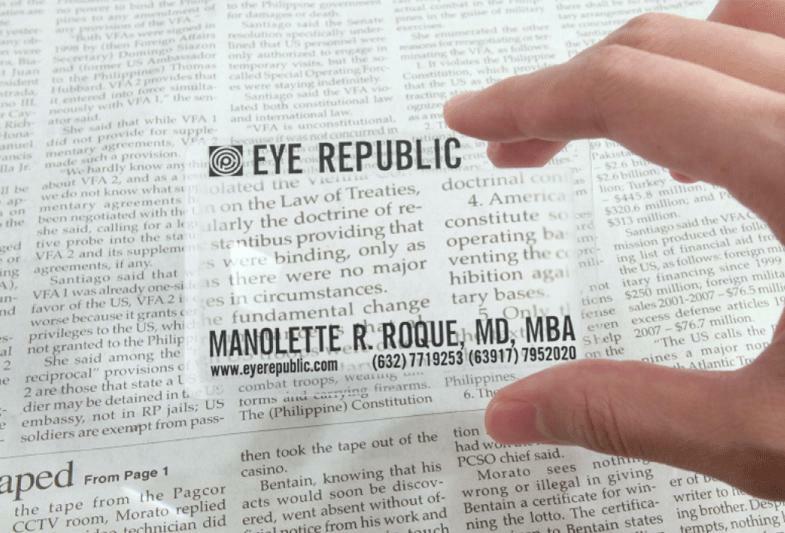 Magnifying Glass Business Card: Business cards that double as reading glasses. 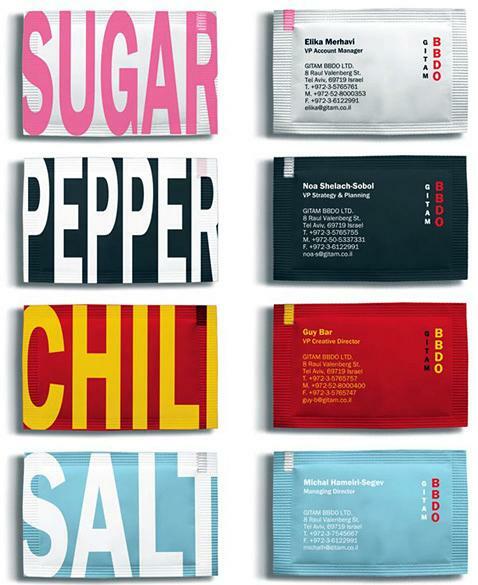 Condiments Business Cards: The sugar and spices business cards were designed for Gitam BBDO, an advertising and creative agency. 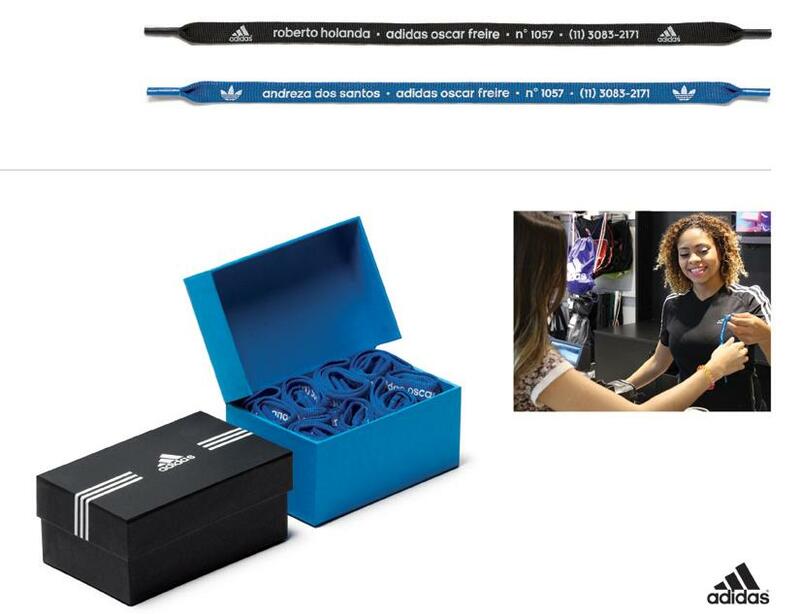 Shoelace Business Card: An interesting business card from Adidas; it had each salesperson’s detail along with the store address. 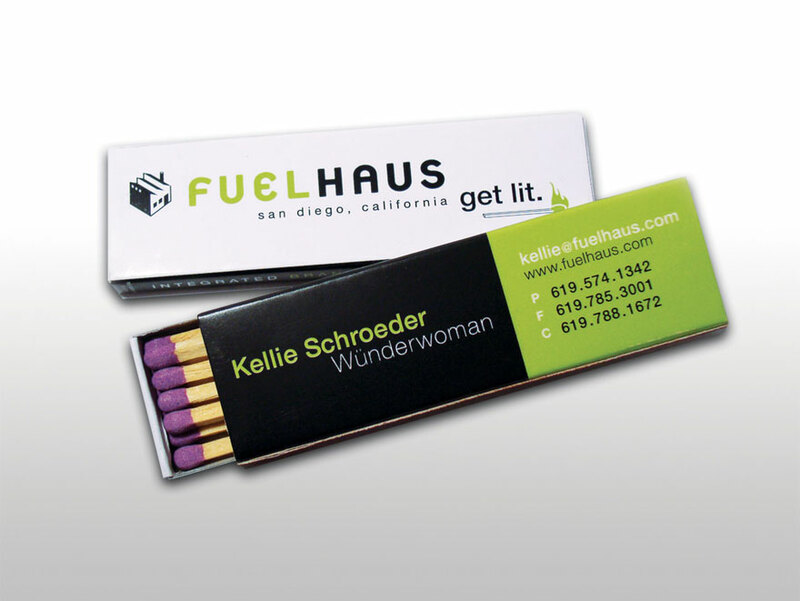 Matchbox Business Card: So next time one needs to light a candle and uses your Matchbox Business Card, they are sure to remember about your business. 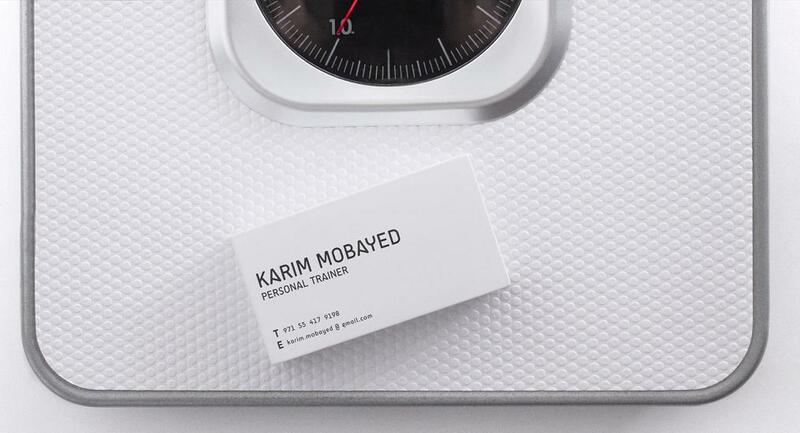 Personal Trainer’s Iron Slab Business Card: A clever business card of Karim Mobayed – Personal Trainer; the business card is printed on an iron slab weighing over 1lb. So once you pick up this trainer’s business card, your workout has started already. 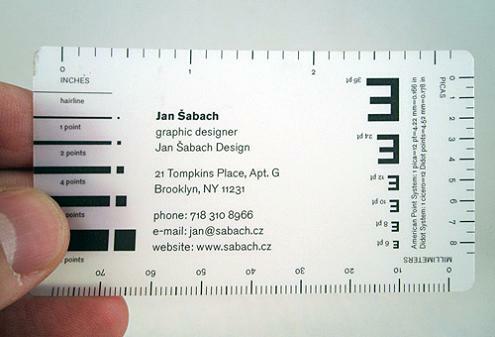 Ruler Business Card: This business card belongs to Jan Šabach, professional graphic designer. 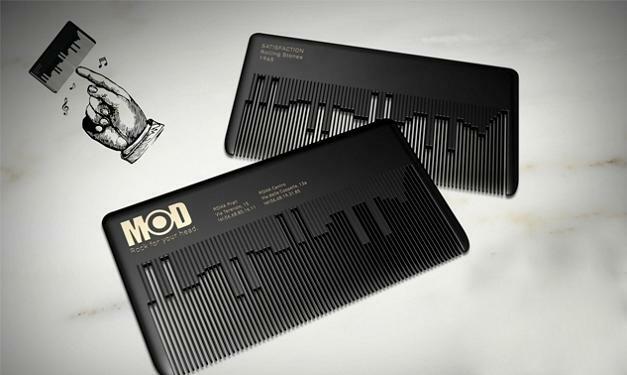 Hair Comb Business Card: Cool business card designed for a Rock n Roll themed hair salon. 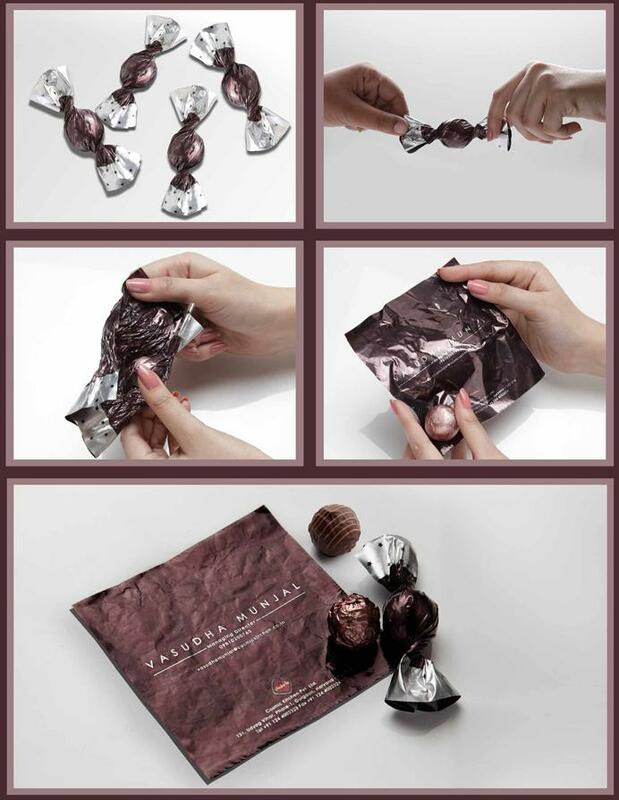 Candy Wrapper Business Card: Choko la Business Card makes its signature gourmet range an integral part of its business card. What more as the flavors kept changing, the demand of the business cards never declined. 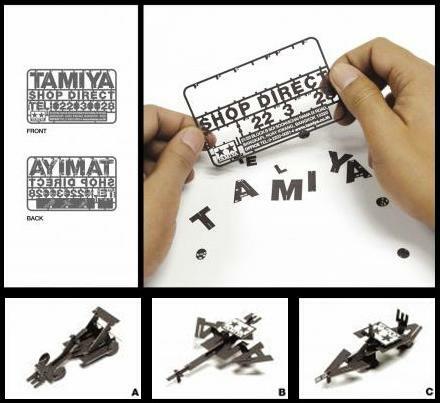 Plastic Models Business Card: This business card is designed as a modeling kit that can be used to create tiny plastic models. You can build a robot, aircraft, ship or a car. Completely Edible Business Card: This completely edible business card comes with ‘read it then eat it’ instruction. 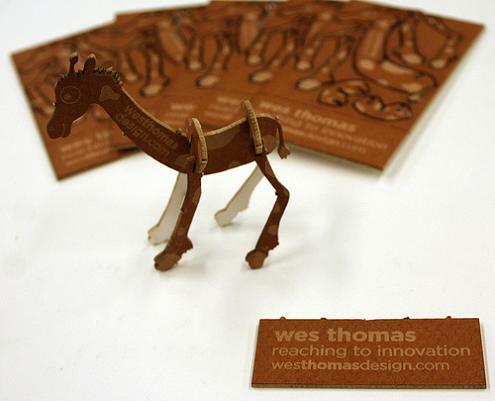 Business Card Buddies: These business cards feature pieces that come out and can be quickly assembled to create playful animals. 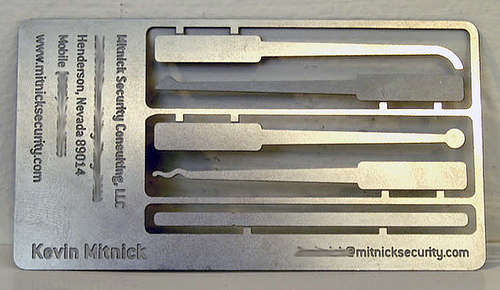 Security Consultant Business Card: It got all the tools you need to get in, but whether to use these is up to you. Greenery Business Card: A card of Lawn and Property Enhancement Company which beautifully demonstrates how a few seeds of lush can make your place greener.